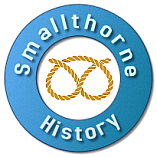 My first memories of Smallthorne began when I was six years old in 1951. My Aunt Emma and Uncle Harry Pepper, lived at 31 Kinver Street, which was originally King street and after uncle Harry’s death, my mum, Avis Howle, my dad, Walter Howle, my sister Barbara Howle, my younger brother Ian Howle, who was a baby at the time and myself Alan Howle, moved from 26 Back Young Street, just off Pittshill in Chell, into Aunt Emma’s house, which was next door to Beattie and George Forster and their two sons, Michael and Tony. Tony, or Anthony Forster went on to be one of the finest watercolour artists in the country and quite possibly the world, doing commissions for iconic names such as Royal Doulton, painting hundreds of amazing local scenes of days gone by in the Potteries, like Burslem Saturday, City Final in Hanley, The Stones in Newcastle plus also many other various and rural works of art. My mum was a really close friend to Beattie, Tony’s mum and they stayed friends right up until Beattie passed away. My mother’s family was name Payne and my grandparents Percy and Elizabeth had pubs in Smallthorne, the Greyhound, the Forrester’s Arms, or top pub as it was known and the Farmer’s Arms at Ball Green. My dad came from a large family who were all born at number 9 King Street as it was known at that time. He worked at Sneyd colliery as a slag washer, then Wolstanton colliery for a short time until he retired due to ill health. As a child of about nine or ten, I remember taking a Tizer bottle full of tea, wrapped in newspapers to him at Sneyd, it was his daily treat.In Kinver Street, I recall certain family names such as Frankie Ball who was the local milkman. His son Stephen was involved in an accident with a bus on Ford Green Road and he unfortunately lost both his legs. All of the local community donated money for Stephen and I remember at the time thinking it unusual, by hearing that he’d bought a Morris Minor motor car even though he was still a very young boy. There was Clogger Bailey, never seen without his wheelbarrow, going from Kinver Street to his allotment in Coseley Street. Also Jack and Theresa Edge and their son John.John and his dad use to be in the St John’s Ambulace Brigade and were always at the Queens theatre in Burslem every Saturday night in case there was any injuries mainly due to fights. John still has an allotment today in Coseley street and after carrying on where his dad left off after he’d passed away, he has continued to hold on to it for many more years. My childhood friends from the street were David Lynch, David Edge, Jimmy Degg, Ernie Morris, Alan Davenport, Eric Payne, Anthony Brown, Tony and Marylyn Hargreaves and my cousin Brenda’s son, John Crotty, who has been a tremendous asset to British athletics for years. David and Brian Edge’s dad was a cobbler in his own shop at Chell Heath.David and I use to collect scrap wood from the derelict swimming baths at the top of Smallthorne, bring it home and saw and chop it into bundles of sticks, which we sold for three-halfpence a bundle then with our ill gotten gains, we would buy dinky toys or marbles. Our entry, or the back as it was called, which was at the rear of our terraced home, was about ten feet wide and the surface was just dirt. We would spend hours making model roads in the dirt for our dinky’s. There was Joe Millingtons Fish & Chip shop on Ford Green Road. You could take a ceramic bowl and get it filled with an eight pence mixture, ( chips and peas )or threepenneth of chips, a fish, usually cod for tenpence ( old money )and best of all for any kid, free fish bits. The Burslem Co-operative Society, or Co-op was next door to Joe’s prior to being Swettenhams and I remember a strong smell of cheese once you were inside, with a great round of cheese on the counter ready to be cut by wire. There was also a really fascinating piece of equipment I‘ll always remember, it was a small round object similar to a ball for bowls, or wood and the top unscrewed then money would be put inside, screwed up again and ejected on a wire up to an office in the roof space for change to be sent back down to the counter. As a young child this was awesome. I can still remember my Aunt Emma’s divvy number at the Co-op, it was 87828. Across the road from Joes chip shop was our doctor’s surgery, Dr Wilson and Dr Mellor were the two doctors, no appointments, just go in sit down and wait your turn and if you couldn’t get to the surgery, they would visit you in your home, no questions asked. Further down the road was Baskeyfield’s hardware and paint shop and below that was Brown’s fruit and vegetable shop. I was friends with Mr and Mrs Brown’s son Anthony and we were both in the choir at St Saviours church Smallthorne, which also ran the cubs and scouts. Sunday school was held at Salem chapel and the boy’s brigade and charity day was also run from there.The Salvation Army also had a band which used to march around the streets. Mum and dad would fit us out with new clothes for charity and we would walk in the procession from street to street, then our neighbours would give us a silver sixpence to put in our new pockets.Much higher up on the same side of Ford Green Road was the cobblers, Mr Steele. You could smell the leather when the door was open, from across the road. Opposite the cobblers was Cappers radio repair shop and right at the top of Ford Green Road were Sant’s newsagents. Next door to Cappers was a Cafe always full of teddy boys. I remember seeing the advertising film posters in Joe’s chip shop window for the Queens cinema, or as it was more affectionately known, “Scratch”, advertising certain films twice weekly. I would wait at the end of Kinver Street for my mum to come down Ford Green Road from work at Stephenson’s potbank in Burslem and I would beg her for the sixpence to let me go to Scratch. Every single time the answer was no, she couldn’t afford but also every single time by the time we’d walked the two hundred yards to our home, I’d won her over and she let me go. Half way along Kinver Street was the Co-operative stables. There was just one gas lamp situated outside the stable doors, so the rest of the street was more or less in darkness. After coming out of Scratch, I‘d cross Ford Green Road to the end of Kinver Street, then I’d run as fast as I could not looking up, or down any of the dark entries in the street, until I reached my front door, then I would rap heavily on the door until mum or dad answered. At the other end of the street, lived Deggs on one side of a narrow entry and on the other side were Lynch’s. The bottom of the entry opened up into a sort of courtyard where Wilf Lynch kept pigs and all the people in the street use to take their vegetable peelings down to the courtyard to boil up for the pigs. A few doors away was Put Woodcock. He sold under the counter cigarettes from his parlour and he was also a bookies runner, as betting was illegal then but Put, an elderly gent, kept his fingers in a few pies. Next door to Put were Hopes. Unfortunately, their house burnt down whilst they were at work, very sad but a tremendously exciting time for kids to look at. Saturday morning all of us kids would bus down to Burslem to the Saturday matinee at the Ritz to watch films such as Hopalong Cassidy, Flash Gordon and Laurel and Hardy. These were unforgettable days. Friday night was shopping order night and my brother and I use to fetch our weekly shopping from Elsie Tittensor’s little corner shop, across from the Greyhound pub. We could have been first in the queue but you could guarantee that any adults coming into her shop would be served before us but we didn’t mind because we were treated to a quarter of Riley’s Chocolate caramels each when we got back. Millers butchers was next door below Joe’s chip shop and my Uncle Tom and Aunt Millie Walsh lived in between the Salem Chapel and the White Hart Inn. Lower down Ford Green Road was Reliable Stores, later to be Roger Bean’s Shoes. Before Roger had this shop, he worked for his dad, Jack Bean, together with his brother Peter in their tailors and gents outfitters shop two doors up from the Post Office. Graham’s Chemist is also a long time fixture of Smallthorne and its history. Talking of history, I can even boast that I lived nearly two years of my life in Ford Green Hall, the oldest building in Stoke on Trent.Smallthorne is tiny and has so many lovely memories for me, the best days of my fantastic childhood and since researching my family tree, it’s even lovelier and more fascinating and one of the best places in the world to have grown up in. Finally some of the families I recall, from Kinver Street. Harry and Irene Arnold. John Edge, his mum and dad. Brian Edge, David Edge and their mum and dad. Erne Baddeley, who use to come into the house to cut my hair, corflick and all. Mrs Burrows. The Platts. The Ball family. The Harpers. Beattie and George Forster and Anthony and Michael Forster, their two sons. The Unwins. The Dales. The Deggs. Wilf and Jean Lynch and their son David. Ernie and Gladys Morris, Alan, Joyce and Ernie, their children. My uncle Daniel Davenport and aunt Ethel, who, before marriage to Dan, was a Howle. Their daughter and my cousin Brenda Crotty and her late husband John, their son John Crotty and their daughter, Julia who was born in Kidsgrove.The Woodcocks. Jim Davenport and his wife, Alan Davenport their son. Put Woodcock and his wife. The Hope family and apologies for any other people I’ve neglected to mention. Many Thanks to Alan Howle for sharing his memories.